According to an article in the MetroWest Daily News, a Worcester police officer has been charged with: (1) home invasion; (2) assault and battery; (3) breaking and entering; (4) trespassing; and (5) threats. The defendant, a 16 year veteran of the Worcester Police Department, reportedly forced his way into his ex-wife’s house and beat a man that was inside with the wife. The article specifically reports that the defendant went to his ex-wife’s home, located in Northborough, and allegedly began banging on the door, yelling at her to let him in, and swearing. 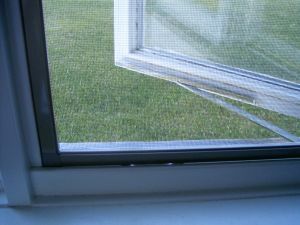 When the ex-wife refused to let the defendant into the house, he reportedly forced a kitchen window screen open and climbed through. The defendant was in his full police uniform at the time, and was armed with his gun, which was holstered in his belt/waist area. After gaining entry to the home, the defendant allegedly attacked the man that was in the house with his ex-wife, including reportedly grabbing him by the neck, punching him several times, and striking him in the face and neck. During the assault, the defendant allegedly told the man that “I will kill you” repeatedly, and said that he would “murder” the man if he was ever around the defendant’s family again. It is unclear how the incident ended, but the defendant’s ex-wife did call the police, who issued a warrant for the defendant’s arrest. After the warrant issued, the defendant turned himself in. He posted bail and was arraigned in Westborough District Court on the above referenced charges. While the allegations are undoubtedly concerning, the most serious charge the defendant faces is home invasion. For the Commonwealth to obtain a conviction for home invasion under G. L. c. 265, § 18C, it would have to prove the following beyond a reasonable doubt: that the defendant (1) unlawfully entered the dwelling place of another; (2) knew or had reason to know one or more persons were present within the dwelling house when entering, or alternately, that the defendant remained in the dwelling place when he knew or had reason to know that one or more persons were present; (3) was armed with a dangerous weapon at the time of entry; and (4) used force or threatened the imminent use of force on any person within the dwelling house, or alternately, intentionally caused injury to any person within the dwelling place. As to the first element, an entry is the unlawful making of one’s way into a dwelling. To prove that the entry was unlawful, the Commonwealth must prove beyond a reasonable doubt that the defendant had no right of habitation or occupancy in the dwelling, and that his entry was non-consensual. An entry into a dwelling is not unlawful if it is consensual, in response to an invitation, or privileged. Massachusetts case law states that a lawful entry can result from permission granted expressly or through cumulative practice, and a jury should consider whether a defendant knew that he had no right to enter the premises. If the defendant can establish that he was regularly at his ex-wife’s home as an invited guest, he may be able to establish that he had a permission to enter the home through cumulative practice, and therefore that his entry was not unlawful. The defendant might be able to establish such permission by demonstrating that he was frequently at the home, had a set of keys, stayed there on a regular basis, or stored and accessed his belongings at the house. If the defendant is able to make such a demonstration, he may have a defense to the home invasion. No matter what defenses the defendant may have however, any resolution to the case is likely to impact his career. He will need a skilled and experienced defense attorney to make sure that he not only gets the best defense possible, but also that every effort is made to preserve his ability to continue to work as a police officer. If you or a loved one is facing criminal charges that may impact your employment, you will also need an attorney who knows how to protect your criminal record so that your ability to work is not compromised. Attorney Daniel Cappetta is well aware of the collateral consequences that a conviction can have on a client’s life and does what it takes to protect his clients, both inside the courtroom and out. Call him today for a free consultation.